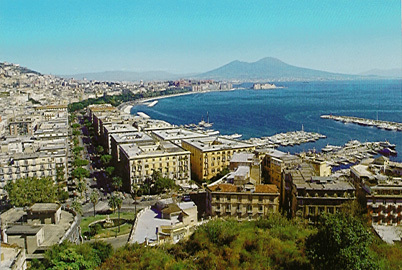 This is a panoramic view of Naples and the bay of Naples. A unique city with a curious blend of old and new. You know what they say see Napoli and die. Well don't really die, but do see Naples if you get the chance. This is a photo taken at the city of Pompeii. Yes the famous Roman city which was covered by a volcano. This is in the courtyard of one of the villas. 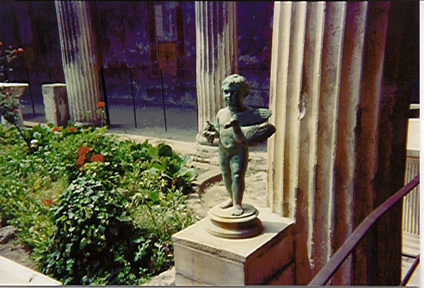 The statue was found during the excavation of Pompeii. A must see site for history buffs and only a few minutes outside of Naples. 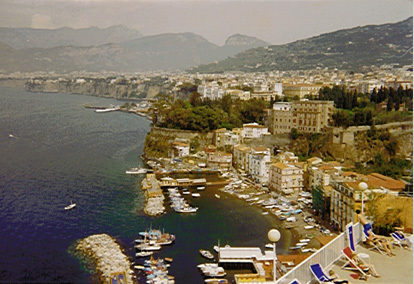 This picture was taken along the Amafi coast on the way to Sorrento. This is a very beautiful and romantic drive. It is about an hours drive from Naples. This has to be one of my favorite places in the world. If you get to Italy, do try it. You will not be disappointed.